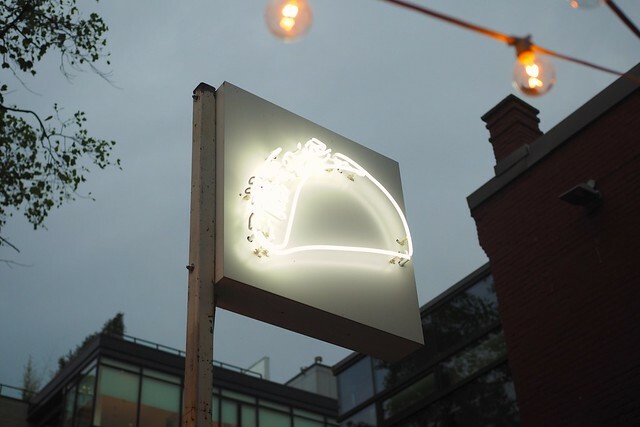 Gastown—Tacofino Taco Bar, the latest in Tacofino's line of Mexican meets west coast eateries, is already a reliable fixture in the east end of the downtown's bustling dining scene along with its fast and easy attached Burrito Bar. 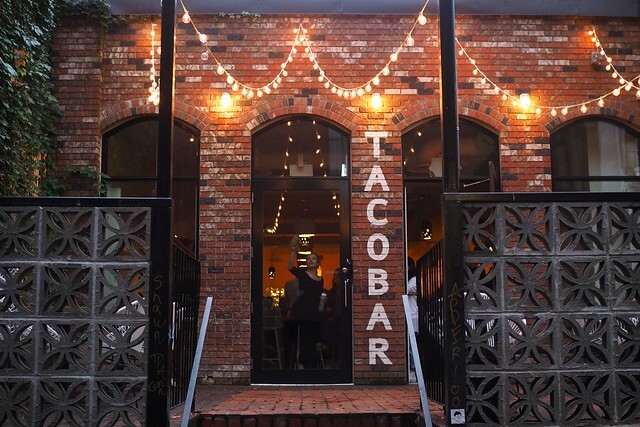 The taco dispensary and restaurant is celebrating the flagship location's first anniversary (or "Tacoversary") in the historic Blood Alley heritage building after opening early last year. 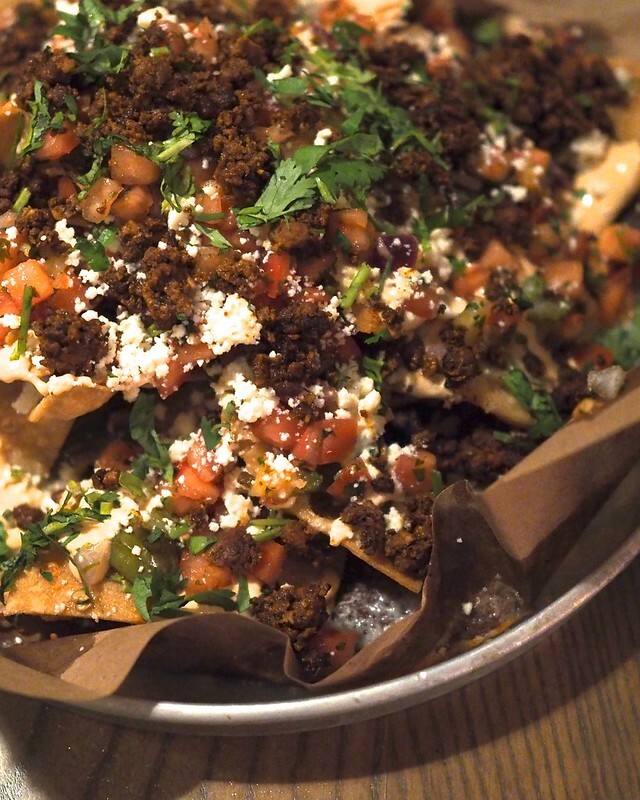 With a bit of a more bar and nightlife focused ambience, the Taco Bar still has all of Tacofino's charms and trademark upscale Mexican dishes from tacos to tortillas and much more. All are usually best enjoyed with a cocktail amidst the dusk of night. I must recommend their delicious nachos (with salsa fresca, chipotle sour cream, and chorizo) as among the best I've had in the city. I thoroughly enjoyed the coastal blended version of everyone's favourite party dish. They're the real deal. It's also hard to beat their trademark fish tacos for the combination of deep fried Pacific cod and fresh toppings (likely first enjoyed from their original, roving food truck). For dessert, be sure to order their mini-doughnut style bag of churros with a delectably sweet agave glaze and spicy cinnamon finish. 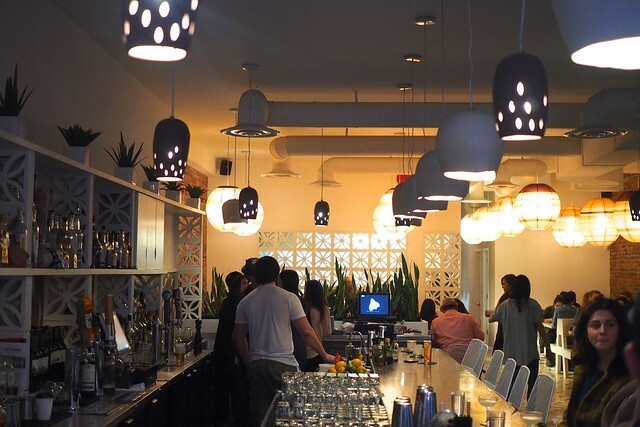 The Taco Bar lives up to the Tacofino name and local brand for all its reliably delicious and welcoming pacific meets south of the border atmosphere. 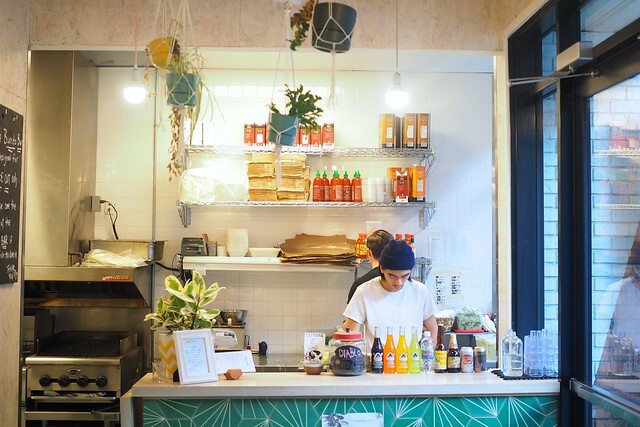 This Saturday, they'll be celebrating their first-anniversary by offering half-price fish tacos at the Burrito Bar with proceeds going to support the Potluck Café Society (an outreach program for the Downtown Eastside).